How Do I Go Natural? Is there some kind of vinegar rinse I can put on my hair that will revert the relaxer? Is there any product that will get rid of my relaxer? No and no to both questions. Once your hair has been chemically treated, the only way to get rid of the chemically treated hair is by cutting it off and letting your natural hair grow out. There are no magic potions that can speed up your hair growth. It takes time, patience, and good hair care practices in order to grow out your natural hair. The average person grows about 1/2 inch of hair per month. That means that with perfect retention (meaning that you never cut your hair or lost any hair due to breakage) you could possible grow about 6 inches of hair a year. Most people will never see all of this length because of normal wear and tear that happens to hair that causes breakage or splits that need to be trimmed off. But overall, once you cut all of your relaxed hair off, it should not take long before you develop a new head of beautiful, natural hair. When you transition to go natural, I say that you should stop using heat all together. The goal is to make your relaxed hair mimic your new growth, not the other way around. The reason for this is that using heat on your natural hair can cause damage to your natural hair pattern, causing it to be altered, or permanently straightened. 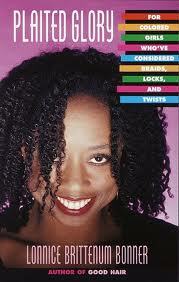 Instead, you can do roller sets, braid outs, and twist outs, as well as braids with your own hair. Something else to keep in mind is that the line of demarcation, the point on your hair strand where your natural hair and relaxed hair meet, is very weak. So you need to be extra gentle with your hair while you are combing it and handling it. Use the widest comb possible, do not rip through your hair, and before you even think about using a comb, go through your hair with your fingers first to remove all of the major tangles. And something else to consider: this is from my experience, working with two textures of hair is HARD! Do not be discourage and think that it will be this difficult when you are natural. Natural hair is a lot easier to work with and plus, if you don't like it, guess what? It's hair, it will grow back. How will you know you don't like your natural hair, your natural hair is hard to work with, or any other negative thoughts about your hair, until you have really dealt with it? Give it a try, hit me up, I will try to answer any question you have. As a new natural, you are basically starting off with a clean, fresh slate. A brand new beginning of healthy hair. Why not take the time before your big chop to learn how to care for your natural hair? Whether you check out resources that are geared towards natural hair care or general haircare, start learning about how to take care of your natural hair before the night of your big chop. Although a lot of what you learn about is going to come from first hand experience, it is essential to learn the basics of healthy hair care and natural hair care practices early on. Learn how to detangle your natural hair, how to comb your natural hair, and how to do basic hairstyles like puffs. Before there was a thriving youtube community and before I knew about Nappturality and Fotki, I did my research the old fashion way, I went to the library. Check out books at your local library about general haircare and if they have it, check out the ones about natural hair. Going through with the big chop can be a very frightening experience especially if you have never seen your natural hair before. Help to ease your mind and prepare yourself by looking at natural hair albums, natural hair youtube videos and join natural hair communities. 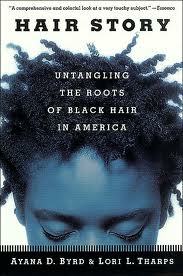 This also helps to solidify your decision of going natural by seeing that you are not alone in this.